The holidays are getting closer and closer, making shopping malls and department stores busier by the minute. As the number of people searching for the perfect gifts continues to increase, the number of parking spots available in mall parking lots is decreasing. To ensure you find the best holiday parking spot possible, make sure you follow these tips and keep both you and your car safe! Choose the right time to shop. Heading to the mall on a Saturday afternoon to do your holiday shopping means you will be faced with large, bustling crowds you have to work your way through. Try and avoid the crowd by choosing the right time to find your gifts. Usually, the late afternoon—right before rush hour—during the week is a great time to find exactly what you need. It’s also the key way to find the perfect parking spot. The fewer the people, the more parking spots you will find! Take advantage of technology. Many cities around the world offer parking apps that allow you to find and reserve a parking space ahead of time. There are some parking lots that allow you to pay by your cell phone, too, and extend your parking time! Take advantage of these apps to find the spot that is closest to your destination with ease! Watch for pedestrians. Not only should you watch for pedestrians to avoid accidents, but also keep an eye out for people on two-legs to determine where their parking spot is. If you find someone who is leaving the mall, try and figure out where they are parked to get their spot after they have left. 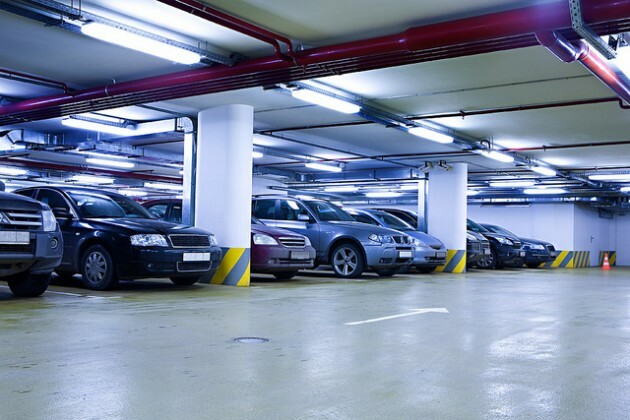 With these three tips, you should be able to find the best holiday parking spot possible. Do you have any tips you would like to share? Tell them to Bell Mitsubishi below!